The digital DJ software industry is a brutal, cutthroat game at the top, something made even more evident by what’s happened with Pioneer DJ and their release of rekordbox as more than just music management software, undercutting their former BFFs, Serato. But it’s easy to forget that there’s lots going on outside of the holy trinity of Traktor, Serato and rekordbox: the likes of VDJ seem to be cleaning up in certain corners of the DJ market, and there’s constant innovation from the smaller developers like Algoriddim and Mixvibes. That’s not what we are going to talk about here. They’re all paid software. They’re all created by paid coders and designers, using the usual means of money exchanged for goods and services. What about people doing this in their spare time? For free? And creating an application that has all the top-tier features you’d expect from modern DJ software? Would it be any good? There is such a program, and it now has lots of shiny new features, and a brand new version. Mixxx 2.0 has been in testing for a long time (initially as 1.9 beta) and then as a rebranded as a full new release. How does it stack up against the competition? I take a quick first look at some of the features and give my thoughts. Since this is essentially the 1.9 beta, you get all the juicy goodies like four decks, effects racks, loads of improvements, tweaks and UI refinements. On top of all the stuff that was in the beta, there are a load more mappings for various hardware, including a full map for the Native Instruments Traktor Kontrol S4 mk2. It’s a significant enough milestone that the team felt it deserved its own version release. 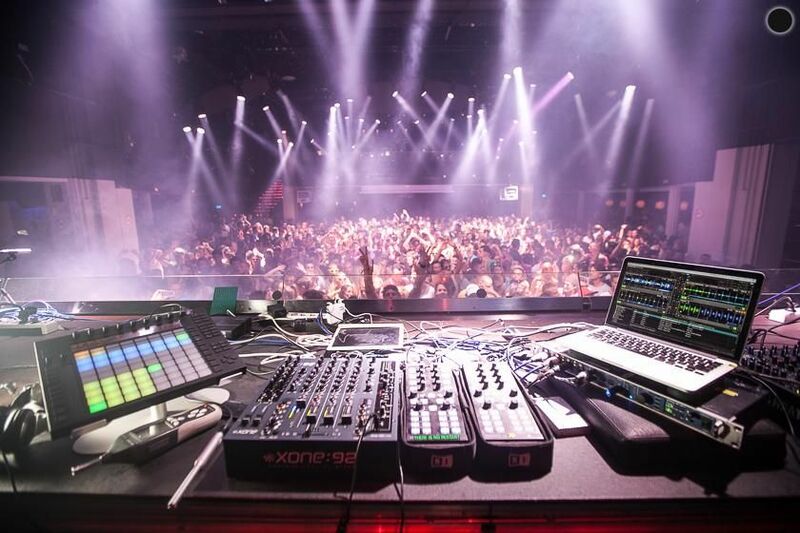 It’s easy to feel like stacking Mixxx up against the likes of Traktor or Serato is a bit unfair, seeing as how they’re radically different approaches to software development, but really, that’s what their competition is going to be. Sure, Mixvibes Cross, VDJ8 and their ilk might seem like a more realistic group, but they’re all fighting a war against the buy-in of the front runners. The biggest thing that many of the paid software have is something of an ecosystem that gives users a cohesive experience. That’s the biggest hurdle teams like Mixxx (and any other pure DJ software developers) have. But… Mixxx is free! Both economically and philosophically, and that is a big plus. Firing up Mixxx 2.0, I managed to get DVS up and running with minimal issues. Setting up the inputs and outputs on the audio interface is fairly intuitive, but one niggle I have is that you HAVE to hit the APPLY button before hitting OK otherwise your changes aren’t saved. It’s a small niggle, but a frustrating one. The software works with many of the timecode records floating around at the moment, with a noticeably exception of the Traktor Mk2 records, but I don’t think anyone outside of Native Instruments has them working. The list includes the Mixvibes timecode vinyl as well. I tested with both Traktor Mk1 and Serato NoiseMap records and the latter seem to be more responsive. I felt way more stable using the Serato records to mix. Audio effects were a fairly recent addition to Mixxx, after a very long wait. The team decided to go with the philosophy “less is more” and put out five different effects: Flanger, BitCrusher, Filter, Reverb, and Echo. I’m not a huge fan of effects, and know all too well how easy it is to overuse them, particularly as many of the effects you can find have such narrow use-cases that they’re just wasted. I had a go with all the five different effects and found they sounded decent and were simple to use, mimicking what you’d expect to find in other software. One feature that I noticed (and like) is that you can assign each of the four effects to any audio channel, but also the master output. Just like pretty much all the current software offerings (apart from the new rekordbox, apparently) Mixxx doesn’t support high resolution screens, meaning much of the interface looks pretty blurry on high resolution screens like retina MacBook Pros and their ilk. I really don’t know why it’s so much trouble to get this fixed (perhaps someone more knowledgable could let us know, on record?) but if Mixxx can beat the competition to the post on this, it’d be a big help in bragging rights. Something that’s been a problem with Mixxx ever since I can remember is the quality of the skins on offer compared to other software. While the current skins have been tweaked and improved there still needs to be work done to make the default ‘LateNight’ skin a bit more contrasting. It suffers from a similar issue to what I experienced on the Xone:43C: too much red/orange on black. It is tough to get right, though. 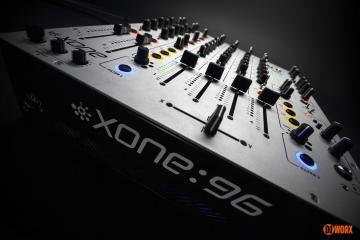 Not least because the look of DJ software is such a divisive subject. People are always arguing about the look of Traktor vs Serato. As I say every time it comes up in these articles, audio quality is such a subjective thing that it’s difficult to talk about in a balanced way. When writing about it, you can only go with what your ears are hearing. That said, using the same Traktor Audio 10 and ESI nEar05 studio monitors (still love these, by the way) that I’ve been using for a while, Mixxx doesn’t seem to sound as good as Traktor. It’s hard to put a finger on it, but it sounds a bit distorted, regardless of how the audio chain is set up. I also noticed Mixxx doesn’t seem to run as hot as Traktor, but it’s still within a decent parameter. I found that beatgrids can be inaccurately analysed, but Mixxx gets the BPM mostly correct. I don’t think I’ve ever come across DJ software that gets it 100% right, though, so it’s only another minor niggle. Mixxx allows you fix the erroneous beatgrids by hand. I do like the fact that Mixxx has Traktor library integration as well as iTunes library out of the box (so to speak). Obviously, if you’re coming from any other software, you’re out of luck, but it’s a nice little hook in for Traktor users. There’s also a neat addition to your crates: as you add music, it tells you the total play time of all the tracks within that crate. It’s not an exact science, but does give you an idea of how much music you have ready to play. Other than that, the browser is pretty basic, lacking some of the smarter features of the likes of Serato. A lot of users will be deeply entrenched in their current software/hardware workflow, so moving over needs to be painless and intuitive, but also meet people’s needs. 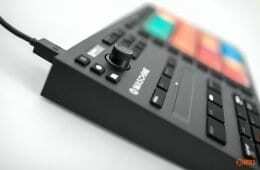 For example, the Traktor Kontrol X1 isn’t exactly an unusual part of people’s setups. To be fair, this isn’t an issue limited to Mixxx. It’s something that all the smaller DJ software platforms can suffer from. Atomix understand this and provide mappings for literally everything they can get their hands on. Sure, there’s a decent list of all-in-one controllers mapped to Mixxx, but with a lot of the software features designed for DVS (and the flexibility in what timecode you can use) it makes sense to make some of the modular controllers part of the family. My advice would be for the Mixxx development team to hold up on developing new features for a month and start a full on campaign to get user MIDI map contributions for every sort of controller out there. Cover as many bases as possible and boost that library. They could call it ‘Mad MIDI Month’ or something. When you look at all the features, the user interface, the core functionality, bar a few oddities, it’s a really impressive bit of software, arguably on par with much of the commercial offerings out there. 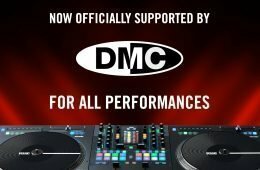 If you’ve ended up with one of the controllers officially supported by Mixxx, or want to delve into DVS on a budget, This is a great way to start, and you may well just decide to stick around for the long haul. Back in the day, Mozilla Foundation showed that open source software could be a great piece of software with something like a browser, but Mixxx shows that even niche software can have success as open source. Do you have any software you want us to take a look at? You can grab Mixxx 2.0 completely free from their website and get started.